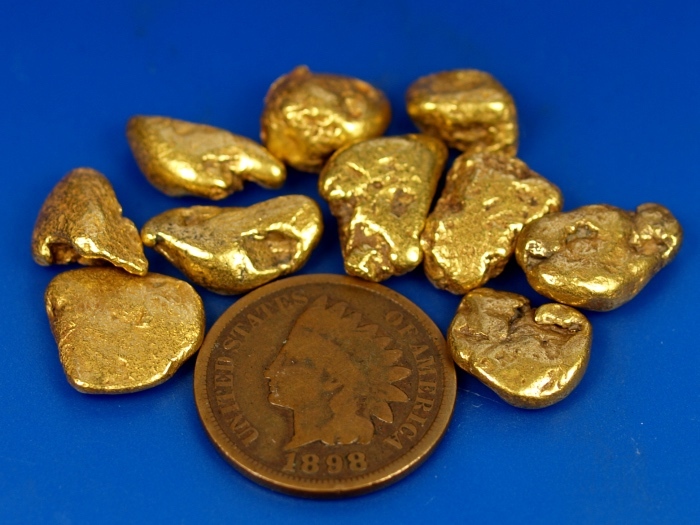 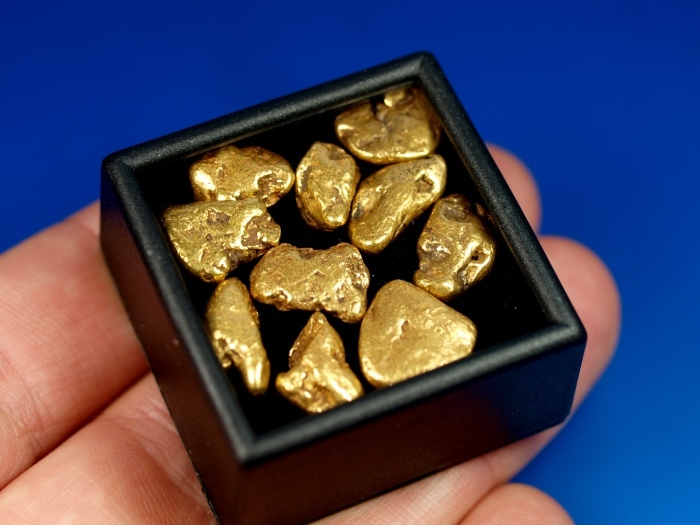 Here is a collection of ten chunky placer gold nugget from Fairbanks, Alaska. 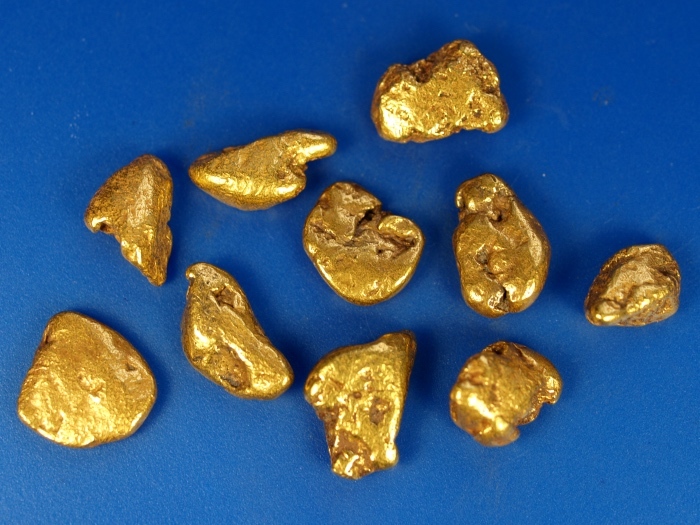 Each of these nuggets is a nice hefty waterworn piece of raw natural gold. 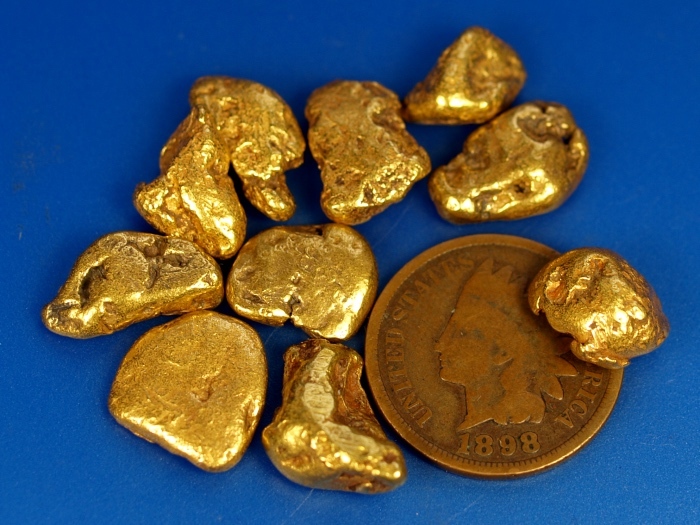 There are 10 nuggets here with a combined weight of just over 1 troy ounce, or 31.25 grams.